There’s a new trailer for the upcoming animated movie Batman: Gotham By Gaslight sees this Victorian version of the Caped Crusader go up again the Ripper. Gotham By Gaslight is what people refer to as a one-shot which is a comic book published in a one-off issue and is usually a self-contained story. The comic was written by Brian Augustyn and Mike Mignola and told an unusual Batman story. Set in 1889, Gotham is being plagued by a series of murders that resemble the one committed by London’s infamous Jack the Ripper. Bruce Wayne takes it upon himself to get to the bottom on this mystery and stop these gruesome murders. 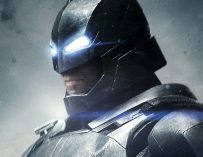 It’s a well-conceived Batman story and showed that the character can be brought successfully into different settings. They’re now making an animated movie adaptation of the comic book. Check out the trailer below. Victorian Batman just seems to work brilliantly. The character suits the setting and the villain. 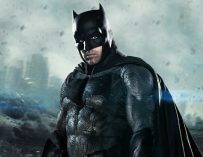 Jack the Ripper is a note-perfect antagonist for the Dark Knight and Gotham is the ideal location for such horrific murders. Judging by the trailer, Batman: Gotham By Gaslight seems to share the comic book’s tone and hopefully, director Sam Liu can do a better job with this animated Batman movie than previous efforts in the medium. This movie comes off the back of two of the poorest DC animated pictures ever seen in Batman: The Killing Joke (which Liu directed) and Justice League Dark, both of which, in my opinion, were fundamentally flawed and problematic movies. Batman: Gotham By Gaslight boasts an impressive cast with Bruce Greenwood as the voice of Batman, Jennifer Carpenter as Selina Kyle and Anthony Head as Alfred. 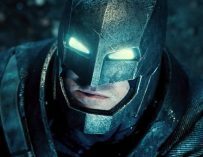 The movie is slated for a 2018 release, but there’s no word yet on the exact date. 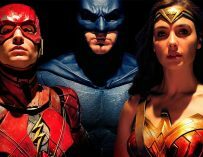 You may also like our articles on all things DC-related such as Justice League, Wonder Woman 2, Suicide Squad 2, Shazam!, Deathstroke, everything and anything Disney and Marvel related such as Thor: Ragnarok, Star Wars: The Last Jedi, Solo: A Star Wars Story, Deadpool 2 and much, much more. Will you be watching Batman: Gotham By Gaslight? Let us know in the comments below.